In her book Mes Confitures, Christine Ferber writes that her Christmas jam pays tribute to the tradition of berawecka, a fruit bread traditional in Alsace and neighboring German speaking countries during the holidays. It gives pride of place to the dried pears of the region and includes a plethora of other dried and candied fruits, nuts, and spices. Indeed, this jam has no fewer than 21 ingredients! A fact that would ordinarily have me fleeing it like the plague. But in some instances, particularly around Christmas, my disposition mellows and I might find myself uncharacteristically drawn to somewhat tedious, day-long cooking challenges. The reward, of course, is an unusual gift that unfurls in every bite, layer after layer, one fragrance after another, and which will hopefully, in an explosion of taste, convey all the affection (and time!) folded lovingly into each little jar. Warning: this jam not only has 21 ingredients, it also takes 2 days to make! Wipe the quinces to remove all fuzz. Rince the fruit with water, remove the stalk and flower, and cut into quarters (do not peel or core the quince). Place the quince quarters into a large (jam) pan and cover with 1.7 kg (170 cl) water. Bring to a boil and simmer gently for an hour, stirring the quince around occasionally. Strain through a fine mesh sieve to gather 1.3 kg of juice. Slice the dried pears very thinly and let them soak in the quince juice overnight. The next day, pit and cut all the dried fruit as thinly as possible: figs, dates, prunes, and apricots. Finely dice the candied lemon and orange peel. Finely cut the angelica if using. Chop the walnuts and almonds. Pour the quince juice and marinated pears back into the jam pan (or large heavy-bottomed saucepan). Add the sugar, and all the dried fruits (figs, dates, prunes, apricots, raisins), candied fruits (lemon and orange and angelica), citrus juices and zests, and spices. Bring the jam to a boil, stirring continuously. Skim any foam that comes to the surface. Leave at a lively boil for 5 to 10 minutes, stirring continuously and skimming if necessary. **Do not overcook! 5 to 10 minutes is sufficient. My batch was a bit too thick, I will be wary next time. ** Add the walnuts and almonds and cook for another 5 minutes. Check that the jam is setting (place a spoonful of juice in the fridge and, once cold, check that the juice has ‘gelled’). Sterilize the jars for 5 minutes in a pan of boiling water. Fill the jars immediately and seal tightly. Because, since I discovered how conveniently jam can be coaxed to fit into a schedule not wholly devoted to making jam, I am unstoppable. And plums are irresistible, come fall. 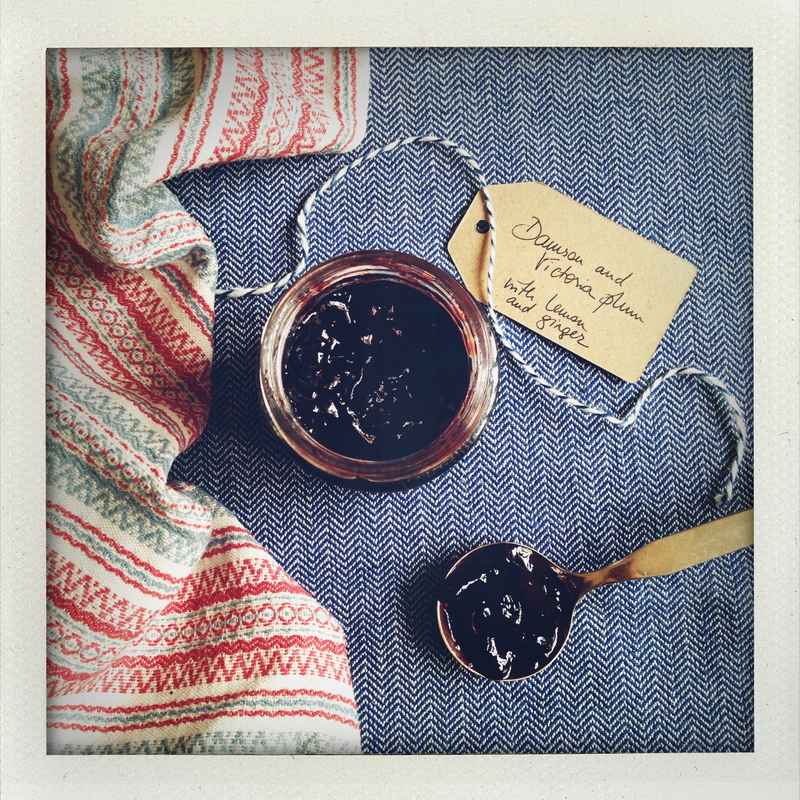 For this jam I used two varieties common in England: sweet, plump Victorias and austere Damsons. The Damson’s astringency smoothed by the honeyed Victorias, together they dance in perfect plum harmony, with a zing. Damson plums are a bit finicky to pit, until you realize that using a cherry pitter — which I do own but, until now, used only very rarely, since I don’t usually pit the cherries for my clafoutis — a cherry pitter works a charm. And as a bonus I was happy to discover a second use for that woefully underutilized kitchen gadget. Wash and pit the plums. Put them in a bowl with the sugar and lemon juice and leave to marinate for a few hours or overnight. When ready to cook the jam, transfer to a heavy bottomed saucepan. 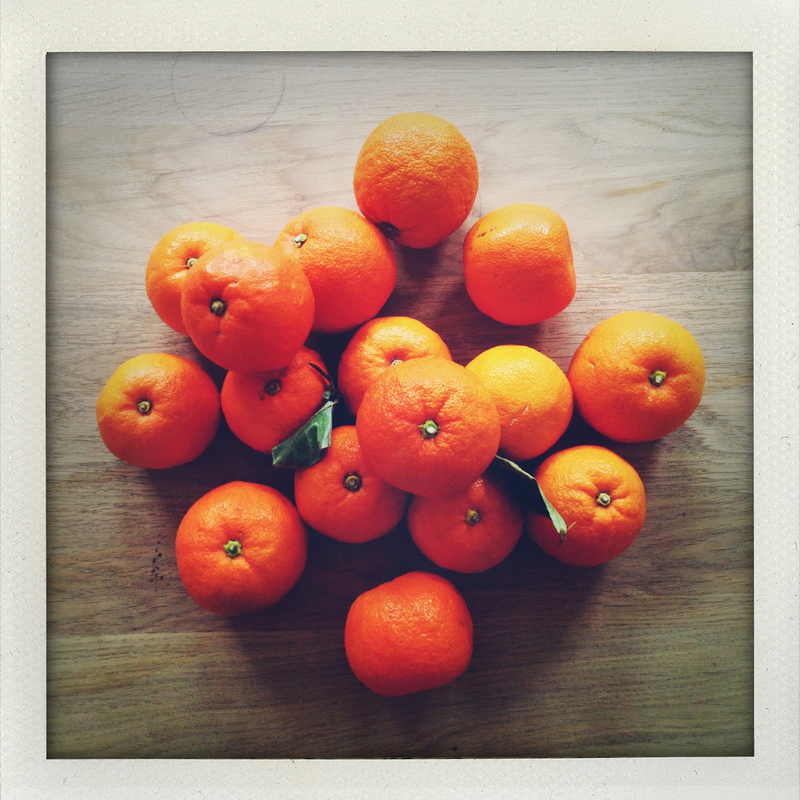 Add a ribbon of lemon rind and the ginger, peeled and cut into coin-size pieces. Bring the fruit to a boil and simmer for 20 to 30 minutes. After about 20 minutes, check regularly whether the jam begins to jell. A good way to do this is to scoop a spoonful of jam into a small bowl or ramekin, place it in the refrigerator so it cools quickly, and check whether it solidifies. Meanwhile, sterilize the jars in boiling water for 5 minutes. As soon as the jam is ready, remove it from the stove, take out the lemon rind and pieces of ginger, and transfer the hot jam into the jars. Seal tightly, and, as usual, store for a few weeks at least before opening. This is me realizing that jam need not be a well planned out, day-long project. It can be, of course, and should, on occasion, because is there a better way to spend a day than whiling away the hours hunched over bubbling vats of sugared fruit? This is not about those days. 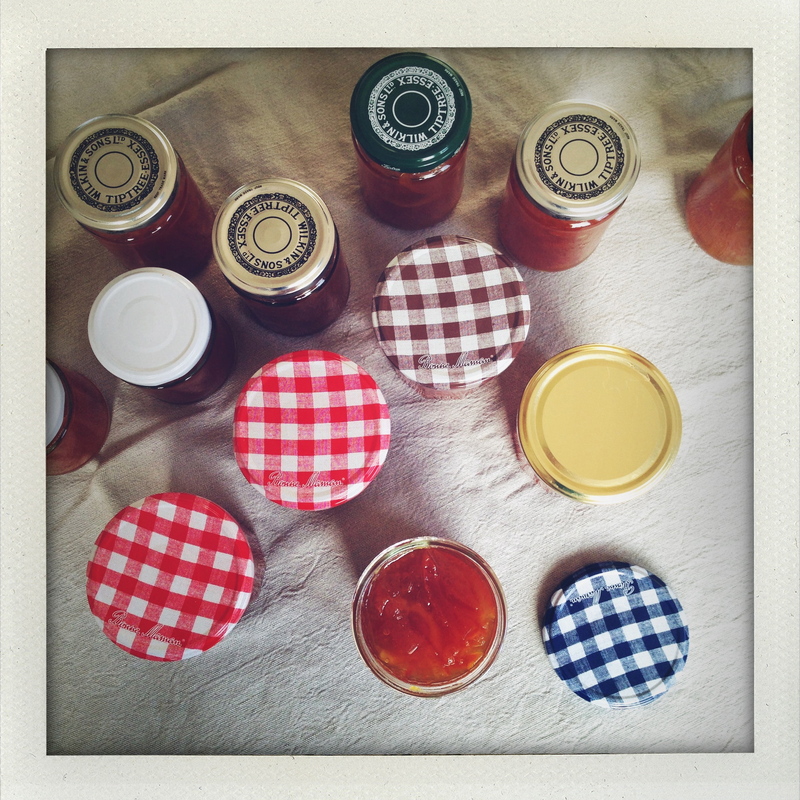 This is about how making jam can be an afterthought, as easy as clearing out the fridge before a week-long holiday. I was the first to consider jam making an incredibly laborious process. Carefully timed trips to the market to grab the last of the season’s fruit at an unbeatable bargain, endless kilos of berries to cut and trim and wash, giant jam pans boiling furiously for hours… I didn’t make jam very often. For one, market vendors in New York don’t usually sell off fruits for a good bargain, even as they pack up to leave (I’ve tried); second, fruit at home often disappears so quickly I need to hide it to keep it safe (and I have); third, I don’t own a jam pan, giant or otherwise. So I don’t (didn’t) make much jam. There were exceptions, naturally, few and far between, so noteworthy I usually recorded them, here, and here. A few years ago my mother gave me Christine Ferber’s book (available only in French). Christine Ferber is a world re-known Frenchwoman from Alsace, widely described as the ‘fée des confitures’ (jam fairy). I’ve never actually eaten from one of her jars, but I have read so many tantalizing descriptions that I feel I might have. 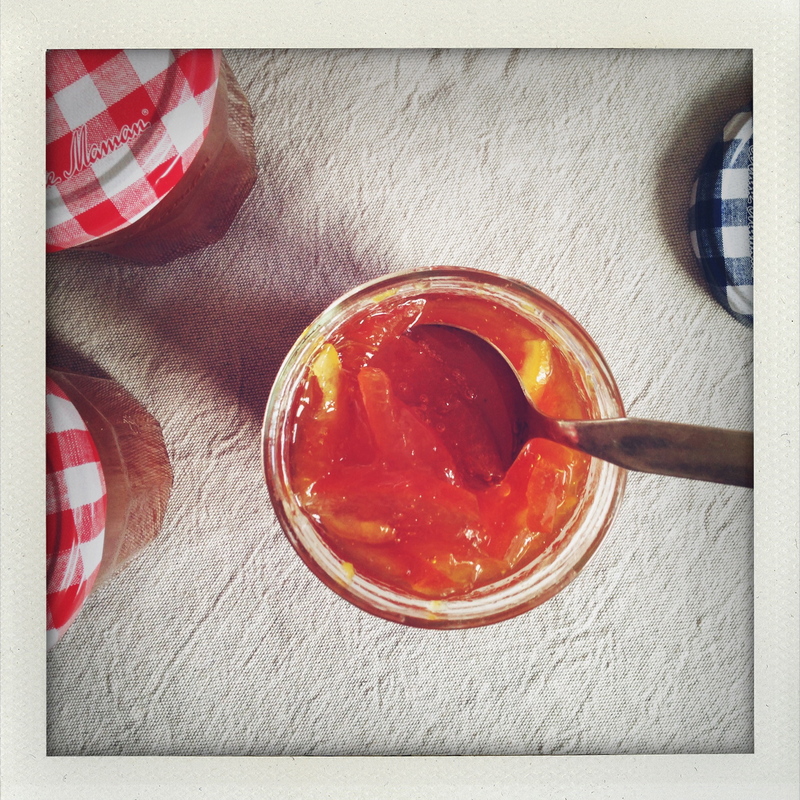 Taken literally, her technique is quite time-consuming, but using her inspiration, some latitude, and a little improvisation (she would be appalled), I’ve realized that making jam can actually fit quite snugly into my life. Key is that the process in divided into two parts. In the evening, prep the fruit, mix it with sugar and lemon juice, and let it sit overnight in the refrigerator. The next day, cook the jam. Chances are, it’s easier to find 15 quick minutes in the evening and another 45 of mostly cooking time the next day, than scheduling a full long slot for the entire process. Emboldened by this realization, last week I made jam, the easiest thing I found to save a few remaining bunches of rhubarb. Wash the rhubarb, trim the ends, and chop the stalks into 1/2 inch (1 cm) pieces. In a saucepan, mix the rhubarb, sugar, and lemon juice. The next morning, cook the jam. Bring to a boil over medium heat and cook for approximately 30 minutes. At first it will bubble furiously, but as the jam jells it thickens, the bubbles slow down and burst at a more leisurely pace. To check whether the juice has “gelled,” take out a small spoonful and let it cool. Once cold, the juice should have thickened in the spoon, and when you try to pour it the drip is not liquid but heavy, as though it was sticking to the spoon. Cook longer if necessary and check again. Meanwhile, sterilize the jars in boiling water for 5 to 10 minutes. 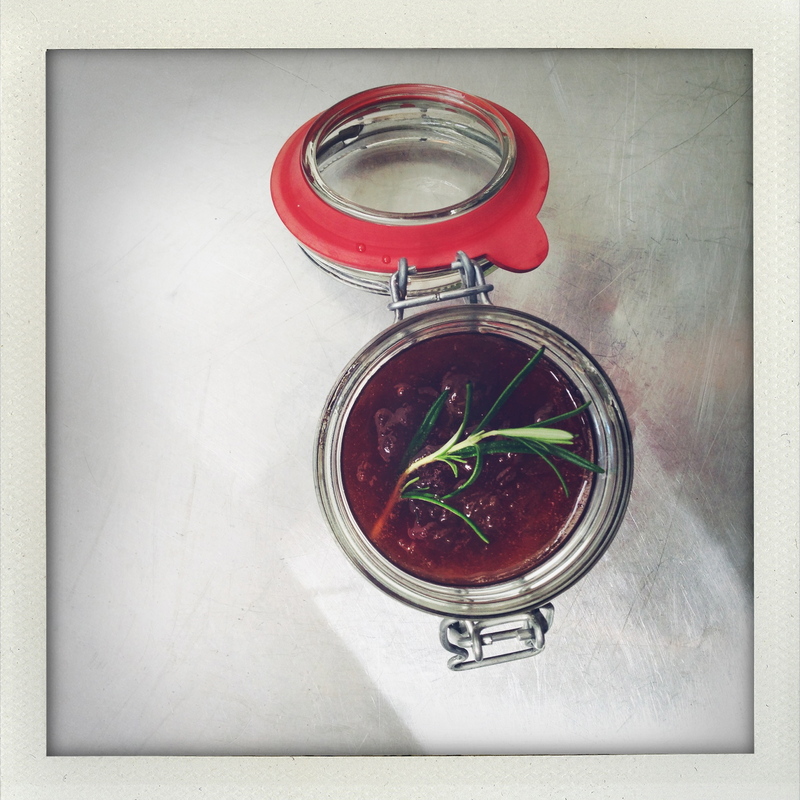 Once the jam is ready, stir in the rosemary to steep for about 5 minutes. Remove. Pour into sterilized jars and close tightly. Jam is best stored for a few weeks (and up to a year at least) before eating. I bought dodgy plums at the market on Wednesday; they looked good but were suspiciously soft to the touch. And although at Union Square market, even questionable plums are rarely at a discount, I got them anyway hoping it would force me to make jam. It protects the plums from rapacious children, and me from making tarte. It worked. 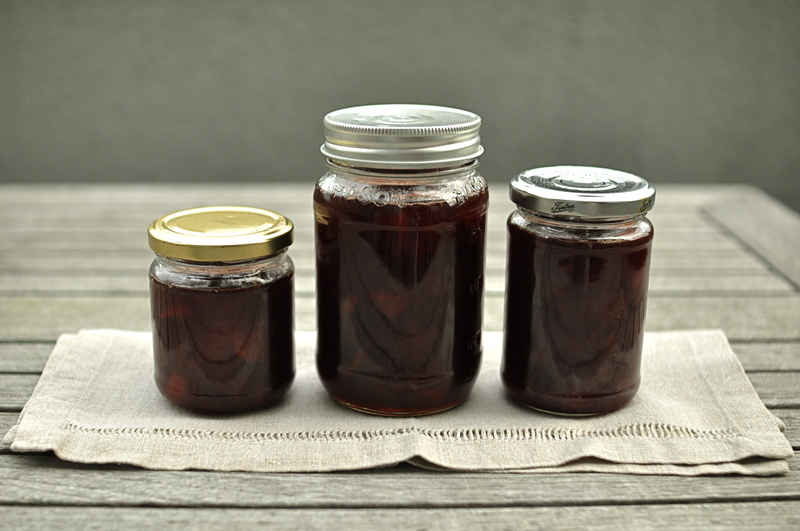 The plums sat undisturbed on the kitchen counter for a couple of days as I pondered how I might jazz up the plum jam. With a dash of alcohol perhaps, or some spice. Then I read Oui Chef Steve’s Plum and Ginger jam and my attention wandered over to a permanent squatter of the second right hand shelf in my kitchen – candied ginger. The decision seemed to make itself. I am told I will have to keep the jars for at least a few weeks before opening, since jam benefits from a little aging, but just from licking the spoon I think I can say – it tastes pretty great. Wash plums, cut them in half and again into quarters. Take out the pits but reserve and count them, as they will be cooked with the jam then removed. 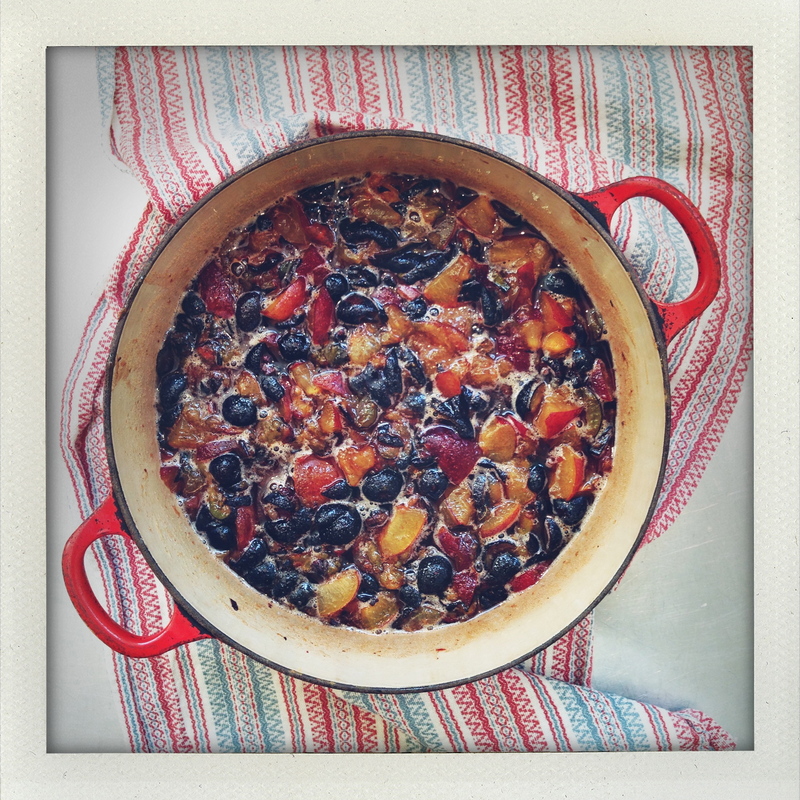 (The French like to leave pits in jams and cakes as they believe it enhances the flavor – we can’t help it). In a heavy saucepan, mix the plums as well as the pits, sugar, and lemon juice and slowly bring to a boil. Add the candied ginger cut into small slices after 15 minutes. After about 20-30 minutes, check whether the juice has “gelled.” To do this take out a small spoonful and let it cool. Once cold, the juice should have thickened in the spoon, and when you try to pour it the drip is not liquid but heavy, as though it was sticking to the spoon. Cook longer if necessary and check again. Meanwhile, sterilize jars in boiling water for 5 to 10 minutes. As soon as the jam has “gelled,” remove from the heat and scoop out the pits (if you have counted them you will know exactly how many need to be fished out). Then pour into sterilized jars and close tightly. Resist opening the jars immediately, wait at least a few weeks. The jam keeps well; once opened it should be stored in the refrigerator.